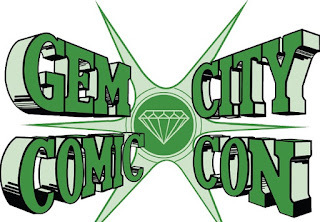 Kav and I love to talk about comics and we recently decided to review some famous and some not-so-famous comic book covers. Last week, we discussed the cover for Batman #222 which saw Batman and Robin trying to solve a mystery involving a band that looked like The Beatles, but due to copyright restrictions, were re-named The Oliver Twists. 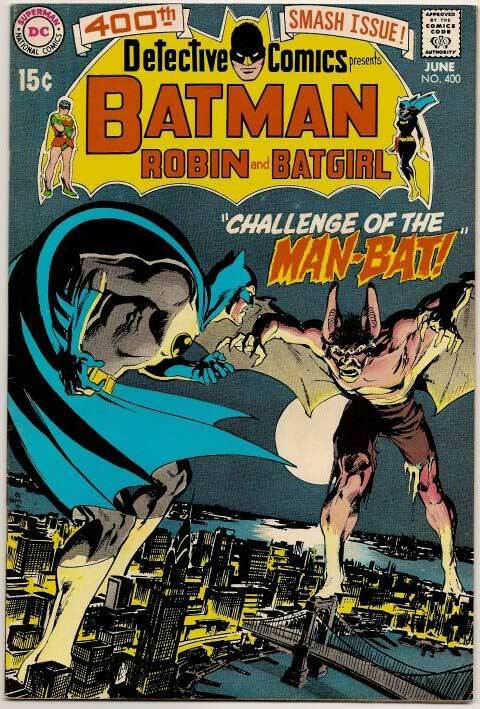 This week, we have the 400th issue of Detective Comics, which is titled 'Challenge of The Man-Bat'. 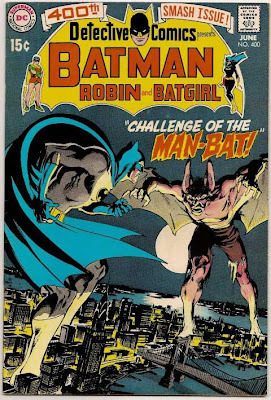 Released during June of 1970, this comic book was the first appearance of the Man-Bat. If we are talking Batman covers then let's talk about Neal Adams, a true comic book legend, who designed this awesome cover. We have a great showdown between Batman and the Man-Bat over Gotham at night. I love how both characters are hovering over Gotham and are ready to do battle. The colors are very well done and there is nothing overly flashy in the look. Fantastic.